Let’s shed light on sight. 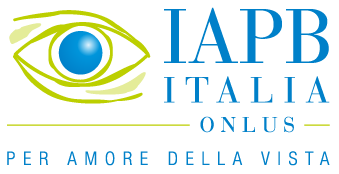 The main themes in contemporary ophthalmology are periodically discussed on videochat by the International Agency for the Prevention of Blindness-IAPB Italy. A number of high profile experts have been invited to take part in the initiative. The last episode was with Prof. Aldo Caporossi – Director of the Ophthalmology Dept. at the A. Gemelli University Hospital in Rome – who talked about astigmatism and keratoconus on 15th April 2019, from 11 to 11:30 a.m., by Facebook streaming. The presenter of the videochats with the ophthalmologist is always Ms Livia Azzariti, one of RAI’s (Italy’s public national broadcaster) most renowned journalists for medical-scientific news programs. You can put your questions, concerning the central theme of the interview, to the guest expert writing a post directly on our Facebook page. All the pertinent questions will be selected and the guest ophthalmologist of each episode will answer them during the video interview, which lasts 30 minutes. You can also send an email to videochat@iapb.it at least one day before each episode. The episode scheduled on 10th May 2019 will be dedicated to pediatric eye diseases: prof. Paolo Nucci, Director of the University Eye Clinic of San Giuseppe Hospital and Professor at the University of Milan. The episode of the 1st April, 2019 was dedicated to macular diseases, first cause of central blindness in the most developed countries worldwide: Dr Monica Varano, Scientific Director of IRCCS Fondazione G.B. Bietti (Foundation in Rome), talked about them by Facebook streaming. The episode of 20th March 2019 was dedicated to glaucoma on Facebook streaming with Prof. Gianluca Manni, University of Rome “Tor Vergata” (watch again). The episode of 8th February was dedicated to the dry eye: Dr. Alessandro Lambiase, Professor of Ophthalmology at the Sapienza University in Rome - who in the past also worked with the Nobel Prize winner Rita Levi Montalcini performing research on neurorigeneration -, answered the questions live (watch again). Prof. Francesco Bandello, Chief of the Department of Ophthalmology at San Raffaele Hospital in Milan, spoke about diabetic retinopathy: on 19th November 2018 during a live streaming on IAPB Italy’s Facebook page. The previous 19th September episode was dedicated to the cataract, with the guest being Dr. Matteo Piovella, President of the Italian Society of Ophthalmology (SOI). This interview can be viewed on the IAPB Italy Facebook page, where previous episodes are also available. Prof. Emilio Balestrazzi, former Director of Ophthalmology at the Polyclinic A. Gemelli in Rome (Università Cattolica), spoke about retinal detachment on 25th June 2018 (watch the video-chat again), whereas the very first videochat was held on 30th May with Prof. Filippo Cruciani (former professor of Ophthalmology at Sapienza University in Rome and Senior Consultant of the National Centre for Vision Rehabilitation) (watch again).